Assist clients in complying with the Department of Homeland Security (DHS) Chemical Facility AntiTerrorism Standards (CFATS) requiring assessment and increased security at chemical facilities. 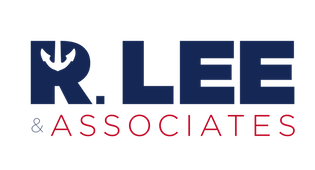 RLA will work closely with facility personnel to draft and prepare a U.S. Department of Homeland Security (DHS) Top Screen Survey (TSS) to be submitted online in accordance with the requirements of Part 6 Code Federal Regulations (CFR) 27.200 (b)(2). RLA will assist in the collection of information necessary for compiling a TSS report, including: general facility geographic location; facility operational and regional strategic importance; quantities and types of toxic, flammable and explosive chemicals onsite; theft/ diversion of precursor chemicals that may be used in construction of Improvised Explosive Devices, Weapons of Mass Destruction or Chemical Weapons; and evaluation of mission and economically critical chemicals used at the facility. RLA will work closely with facility personnel to complete and prepare for submittal a DHS SVA completed by a security risk assessment team based on the DHS Assistant Secretary tier determination of the facility. This SVA will be a comprehensive security risk management evaluation that will determine critical asset identification and characterization, including: existing layers of security protection; supporting infrastructure; and hazards to those critical assets. The SVA will include a complete threat assessment including internal and external threats and internally assisted threats; and will identify existing vulnerabilities and identify security and operational countermeasures designed to mitigate those vulnerabilities. This SVA will determine the relative degree of risk of security incidents and the likelihood that those incidents will occur at the facility. The SVA will be completed within 90 days of the DHS determination of “High Risk” and the Tier assignment. RLA will assign a Security Team Leader DHS-certified as Critical Infrastructure Preparedness Specialist to complete a draft SSP for the approval of facility management in accordance with the DHS Tier assignment and aligned with requirements of 6 CFR 27.225(a).This SSP will contain security protocols and measures designed to mitigate each vulnerability identified in the SVA. The SP will further identify applicable security measures designed to reduce DHS risk-based performance standards, including various modes of facility terrorist attacks using vehicle-borne explosive devices, waterborne explosive devices, ground assault, armed intruder and hostage security incidents. This SSP will include: facility perimeter security; facility access control; restricted/secure area monitoring and access control; personnel/vehicle screening; security record keeping; facility personnel credentialing; terrorist attack deterrence measures and counter-surveillance protocols; deterrence procedures of intruder sabotage; security equipment operations and systems; personnel background screening; elevated threat procedures; cyber security; security incident response procedures and emergency consequence management contingency plans. The TSS, SVA and SSP will be classified by DHS as Chemical-Terrorism Vulnerability Information (CVI). The SSP will be completed within 120 days in accordance with 6 CFR 27.210(b)(3) and submitted to DHS for approval.